Primers have always been sort of a mystery to me. I have a hard time believing that they will make my skin perfect by reducing redness, shine, and acne, all while helping to make my makeup last longer. However, after a year or two of experimenting, I’ve found a bunch that work, and today I’ll be discussing four of my favorite makeup primers. Read on to learn what they are! I started with the priciest one first – it’s also probably the best of the bunch. 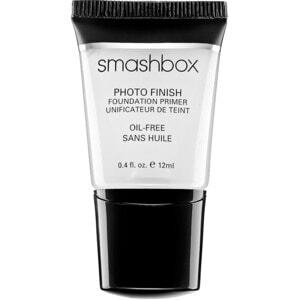 Sometimes with primers, I find that you get what you pay for and this Smashbox one is no exception! This is so lightweight, and you only need the tiniest amount to see its effect. It also didn’t break me out, which is a huge plus. It keeps oil at bay and also keeps your foundation on your face. As a side note, this primer really doesn’t conceal pores, but it still gives you that flawless complexion you’re looking for. If you’re looking to splurge on a high-quality primer that will last you close to a year, this is the one. I barely needed any product to make it work (think half a pea size) and I’m loving the value! 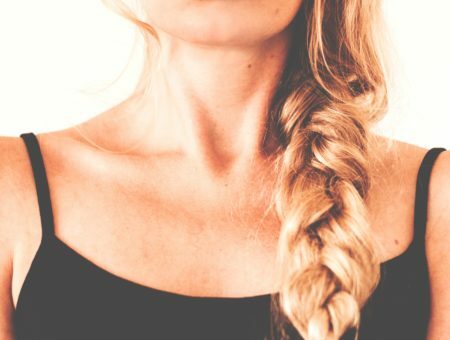 Try this if you’re not sure if your skin can handle a primer. This primer is a bit different, since it can be worn alone, under foundation, or even mixed with your foundation to give it a more luminous finish. 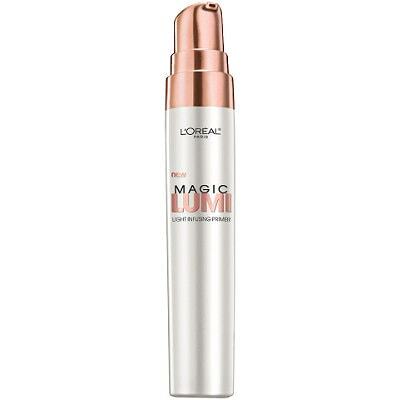 L’Oreal’s Lumi range is basically designed to illuminate your skin and give it more of a natural, dewy finish, and this primer does just that! I love how effectively this lightweight primer works. It really does give your skin an “inner glow,” but doesn’t feel like you have glitter on your skin. It’s a little bit pricier than most drugstore primers, but the quality is amazing and the packaging is also fantastic – it’s glass bottle with a pump! That’s rare to see in a drugstore, so definitely take advantage and give this primer a try. This isn’t a “primer” in the traditional sense, but I wanted to include a variety of primers for your needs and this one is definitely one that could be a need! 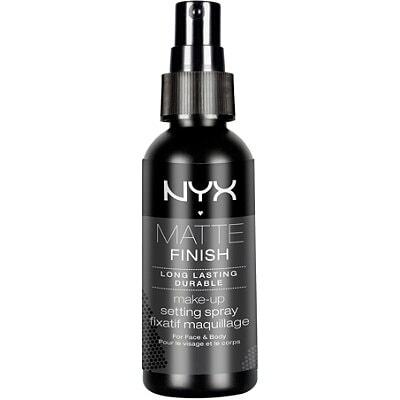 I’m a huge fan of NYX products and this primer doesn’t disappoint. Basically, this is a setting spray. You spray it on over top of all of your makeup when you’re done, or if you’re like me, you apply it in-between “makeup layers.” For example, I would apply this after my foundation and powder, then after my blush/bronzer. This product won’t break you out, and it works well on all skin types – especially combination because it can soak up a bit of oil throughout the day. You can also apply this more than once during the day if you need a touch-up. And for the price, this is a great product. I definitely recommend it! Okay, you probably think I’m absolutely insane for including this one. However, this is a fantastic primer and yes, you can put it on your face safely! I’ve tried it and have to say it’s one of the best primers I’ve ever used. I didn’t come across this trick by myself though – a couple of my favorite YouTubers use this product all the time, and since their makeup always looks flawless, I had to try it. Since it’s a powder-gel, it doesn’t feel heavy at all, and as a bonus, it can also reduce irritation on your face. I know the thought of using a chafing gel on your face might sound scary, but trust me when I say this product is amazing. 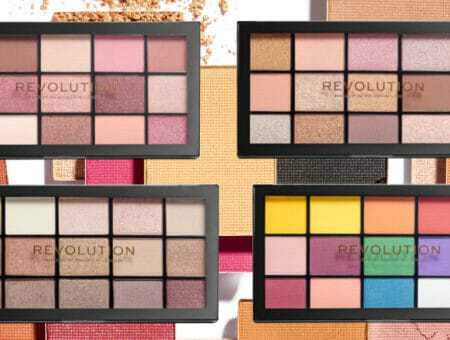 You only need to use the tiniest bit and it covers up pores and imperfections, and provides a long-lasting foundation for makeup. Don’t be scared! Try this product – you won’t regret it. Do you normally use a makeup primer? Which one? Do you use any of these products? Would you like to see more posts like this in the future? Remember to tell us your thoughts by leaving a comment!